IMCDb.org: 1965 Iso Grifo A3 C [B-0222] in "Classic & Sports Car Film Collection, 1998"
Bentleyboy is correct. It's a Iso Grifo A3C and I bet it's chassis number B0222. I owned this car in the early Eighties. 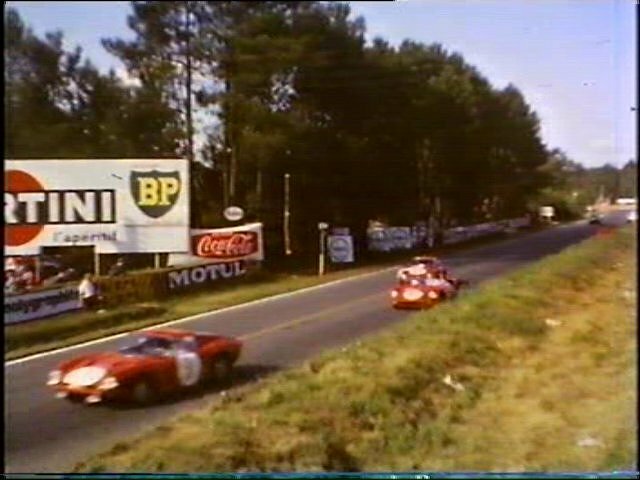 Confirmed as 1965 Le Mans appearance of B0222 - #3 Regis Fraissinet/Baron Jean de Mortemart, 9th place o/a and class winner. Currently (Oct 2012) for sale - http://www.fiskens.com/pages/showroom/model.aspx?pid=1576 (lots of nice photos). Not the same as /vehicle_41270-Bizzarrini-GT-5300-Strada.html with #3 - this one has roundels, the other does not.